After announcing that demand for its HP Slate had "exceeded expectations," it has now leaked out that HP only planned to build 5,000 and ended up having to retool to build a total of 9,000 of them. Compared to the average 46,555 iPads Apple sold per day over the last quarter (during constrained supplies), a total run of 9,000 isn't exactly the kind of demand tablet observers would describe as "exceeding expectations," instead positioning the Slate PC in the same dismal category of failure trailblazed by Microsoft's Zune and KIN phone. Jointly unveiled by Microsoft and HP at an event just weeks before Apple first debuted the iPad, the HP Slate was supposed to herald a new generation of Microsoft Tablet PCs running Windows 7 under the new moniker "Slate PC," hopefully cutting the connection with the past decade of generations of failed Tablet-sized devices running either Windows CE or the full desktop version of Windows. Instead, Apple's release of the iPad quenched any enthusiasm for "Slate PCs," sending HP back to the drawing board while other Windows PC makers either abandoned their slate offerings or looked into alternative platforms (including Google's competing Chrome OS and Android OS). HP itself purchased Palm, announcing plans to produce WebOS-based devices over the next year. 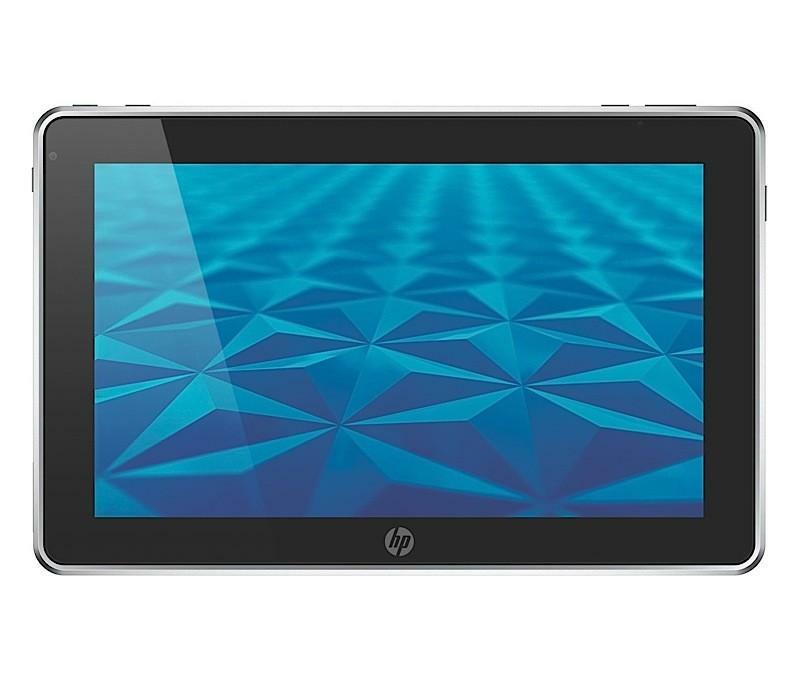 This summer however, HP announced it would be offering its existing HP Slate 500 directly to business customers, skipping the consumer market until it could deliver a WebOS offering. It didn't announce that it only planned to build 5,000 of the Slate PC devices. This weekend however, tech blog Engadget reported that a "trusted tipster" told it that HP "only ever planned a limited production run of 5,000 units" and "apparently had to re-hire production workers just to get the presses printing out tablets again, and are presently placating angry customers by offering them over $100 off their $800 purchase as apology." On its website, HP euphemistically categorized the tiny production run and its incurring delay by saying, "due to extraordinary demand, the HP slate is on backorder. Orders are expected to ship in 6 weeks. Order now to reserve your place in the queue." The potential for alternative tablet-shaped products to compete with Apple's iPad has generated intense interest in the industry, after Apple knocked the wind out of the fragile segment and subsequently brought its iPad to market rapidly before Microsoft Slate PCs, WebOS devices, Android slates, and RIM's promised QNX-based PlayBook could arrive. The segment shattering introduction of the iPad left Apple with a 95 percent share of the tablet market despite the company's difficulties in building enough to satiate demand. Constrained supplies caused Apple to ship fewer iPads than many analysts expected in the past quarter, but the company has already managed to sell 7.5 million devices and create a catalog of over 30,000 iOS apps customized for the iPad by the end of its second quarter of sales. Apple's chief executive Steve Jobs told analysts during the company's most recent quarterly earnings call that the "avalanche of tablets" that many are expecting is really just a "a handful of credible entrants," and said that the 7 inch screens they were using would result in products that are dead on arrival. Jobs said that other manufacturers were only using 7 inch screens (compared to the iPad's nearly 10 inch screen) because they lacked Apple's economies of scale, and added that a 7 inch screen is actually only 45% as large as the iPads, insisting that "this size isn't sufficient to create great tablet apps." A 7 inch screen is "meaningless unless your tablet also includes sandpaper, so that the user can sand down their fingers to around one quarter of their present size," Jobs said. He added that Apple has done extensive research on touchscreen interfaces and what works best for users, which is how it arrived at a 9.7 inch display for the iPad. Noting that all tablet users already have a mobile smartphone, Jobs indicated that tablets need to be big enough to be differentiated from mobile devices in terms of features. "No tablet can compete with mobility of a smartphone. Pocket size tablets are tweeners," Jobs said; too big for a smartphone and not big enough to work well as a tablet. Jobs also took a direct shot at Android-based tablets, explaining that "nearly all of these tablets use Android. But even Google is saying don't use Froyo [the current release of Android OS], and instead to wait to use next years' version. What does it mean when a software maker says not to use their release and you use it anyway? RIM co chief executive Jim Balsillie fired back at Jobs's comments, defending his company's upcoming 7 inch PlayBook tablet without directly countering anything Jobs said, and instead simply dismissing his comments by saying that customers are "getting tired of being told what to think by Apple." "We know that 7 inch tablets will actually be a big portion of the market and we know that Adobe Flash support actually matters to customers who want a real web experience," Balsillie added. While critics initially complained that the iPad was just a "big iPod touch," dismissing Jobs' presentation of the iPad occupying a new market segment between full sized notebooks and pocket-sized mobile devices, a variety of mini tablets and jumbo phones are now being welcomed as ostensibly filling an infinite spectrum of niches between standard-sized smartphones and the iPad. The five inch Dell Streak and 7 inch Samsung Galaxy Tab have both hit the market with excitement that has quickly turned to anticipation of the next model expected to arrive, much like the series of devices held up as iPod-killers since 2002, and the onslaught of phones designated at iPhone-killers since 2007.